Some far-sighted teachers have already introduced mind maps into their class, thus improving both class efficiency and quality. 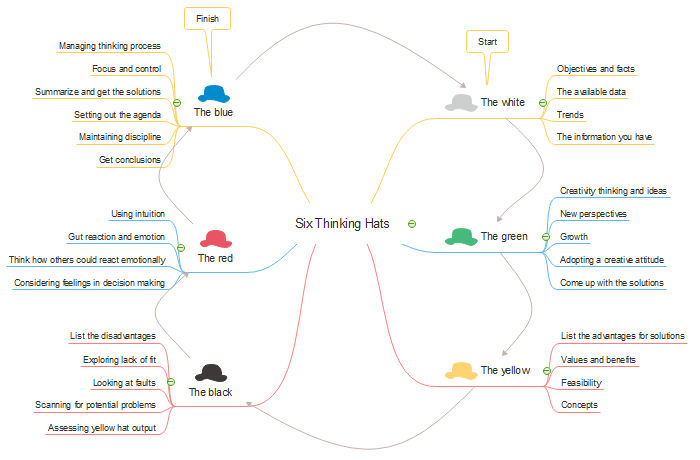 This articles introduces 7 ways to use mind maps in education. Mind maps are used as a popular tool in more and more fields nowadays. For teachers and students, mind maps play an important role in education. 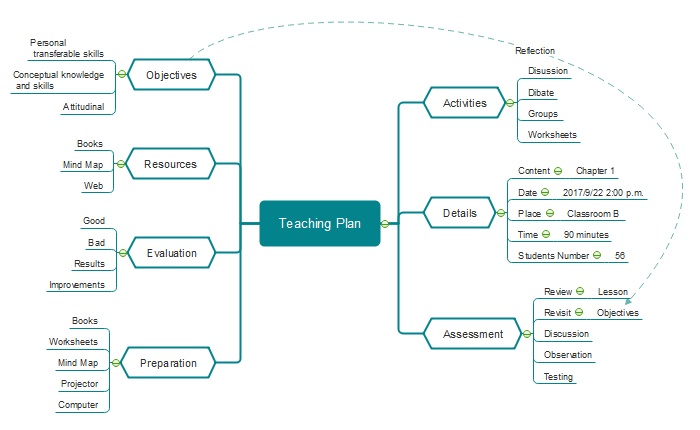 How can mind maps be applied into teaching? How can students improve learning efficiency and effect by using mind maps? Read this 7 ways to use mind maps in education. Vocabulary is the source of knowledge. However, it's not always easy to remember words of your mother tongue, not to mention learning vocabulary of a second language. With the help of mind map, you can create maps of word groups in different theme and add new words to corresponding groups at any time. The radiant structure of a mind map suits the way human brain works in diverging an idea. To create a vocabulary mind map, Edraw MindMaster allows you to insert images, notes and hyperlinks into a mind map to add detailed information and strengthen visual memory. Definitions, sample sentences, comments, audio and video can be added as attachments in a vocabulary mind map. The following is a mind map of English collocations with "DO", through the map, it's easy to see and remember the collocations at one glance. Detailed information and more examples can be added to the existing word map at anytime. Grammar is the groundwork for effective lauguage learning. However, we always hear people complaining grammar learning as a pain. The grammar rules such as sentence structures, tenses, and part of speech make us headache. Usually we read grammar book and write down grammar notes to learn grammar, but it's difficult to have a clear overall understanding in mind and hard to avoid confusion. Mind maps provide a much more effective approach for sorting out grammar rules. The radiate structure is perfect for summarizing and presenting grammar points in a bird's eye overview then drilling into details. It reflects relationships and shows connections of different grammar points visually. Also, this map format is easier for you to review, preview, and navigate than a book. What's more, you can use eye-catching colors, shapes and icons to make it more attractive than grammar books to read. For example, if you are learning English Parts of Speech, you write down "English Parts of Speech" as the central topic. Branch off the topic with different branches such as nouns and verbs, and then break down each branch into detailed catalogues. In this case, it's quite easy for you to get the main content with a glance at the map. Download this excellent mind mapping software and view lots of built-in mind mapping templates. First of all, write down the name or general content of the class as the central topic on the center of the canvas. Then branch off the central topic with several main parts in preparing a class, including teaching objectives, details, resources, preparation, activities, evaluation and assessment. Teaching objectives lay the foundation of the structure and process in a class. Details are information about when and where the class is given, what is going to be taught and who will attend it. Search for the resources of teaching materials and figure out what will be used in which part clearly. Plan class activities with concrete instructions, set evaluation criteria and assessment methods to ensure what students will do. Do "3 checks" to ensure the teaching plan is practical - check the teaching and exercising materials, check teaching equipment and check assignments. In class, teachers like using presentations to assist their lectures, and students sometimes do presentation activities to practice their learning and communication skills. Powerpoint and keynote are two most well known class presentation tools. However, one of the challenges with the slideshow is that it isn't easily understood how the entire picture is. What you see are individual slides one by one, and you couldn't figure out their relationships in between. That's why lots of people turn to mind maps for class presentation. Mind map shows everything in a single page. It structures information in a logical way and shows the web of relationships clearly. What's more, mind maps are more flexible for presentation. If you only want to show the content overview to your audiance, you can collapse all the details. If you want to focus on a special branch when talking about that part, you can drill the branch. Edraw MindMaster offers two ways to do presentations. One is slide by slide presentation, and the other is full picture dynamic presentation. You can choose any way you like. You can also add visual elements such as images, icons and colors to the topics, and insert hyperlinks such as website addresses and local files to enrich your presentation. Taking notes is a requisite for students. The most common way of taking notes is to copy down what the teacher wrote on the blackboard or copy contents on the book to notebooks. However, almost all the notes are densely dotted texts in a linear structure which is often lengthy and difficult to read. 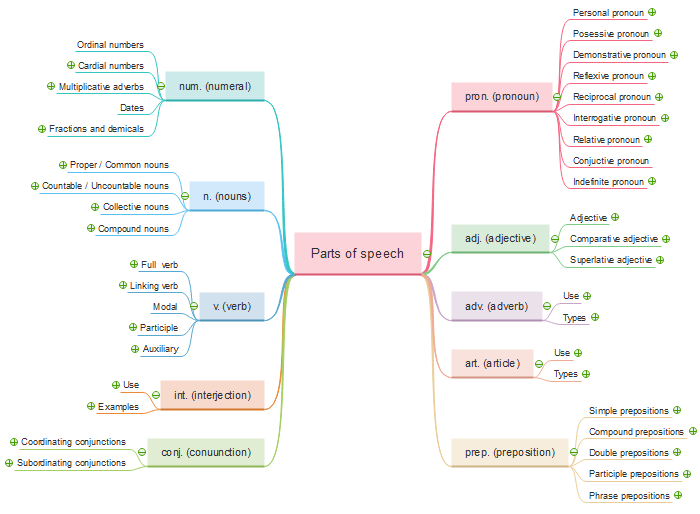 In a mind map, the topics are expressed with keywords or short phrases following a radiant structure, which forces students to extract key information from interminable book texts. No matter the mind map is made on a blank piece of paper or software canvas, do remember to show relationships, hierarchies and connections between individual pieces of information at a glance. Images can be inserted to topics to help comprehend corresponding content better. Detailed information can be added as a note, but make sure that the information is meaningful. Mind map notes can help students a lot when preparing for an exam. Comparing with going over a book, a mind map is easy to read and carry with. The process of taking notes in a mind map is how students understand and digest the content. Mind maps are developed in a radiant structure which is exactly how human brain naturally works. Students are prone to copy-paste and imitate others because they are restricted by textbooks and certain frames. However, if a blank piece paper is given, they are way more creative and active to express their opinions than usual. For example, in classes that involve imagination, the teacher can create a new mind map which is a blank canvas, and then put his idea in the central topic to ask students for solutions to the idea. Since no requirements and restrictions are laied out, this will greatly provoke students' creativity and their ideas explode like a volcano. 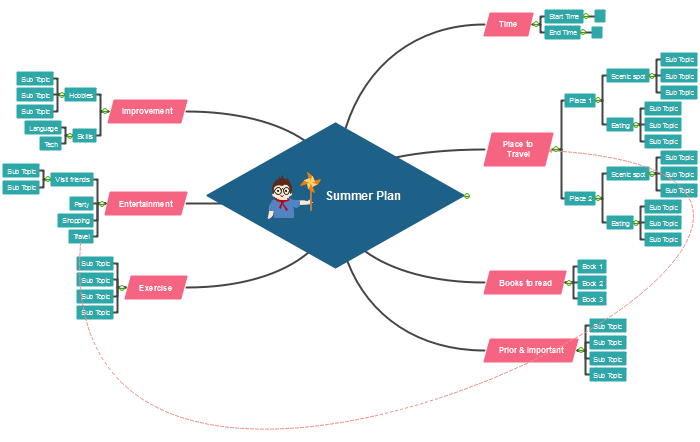 The following is a mind map of summer plan, a teacher writes the central idea and students give ideas on whatever they think of, helping develop creative thinking skill. When I was in junior, I was required to read 3 books each semester and make book summaries respectively in the final. The whole class handed in piles of notebooks which mainly consist of excerpts from the books we read. Later, some students were asked to give an oral statement on the book, and most of the presentations were reciting excerpts rather than plots, themes and comments. Obviously, such kind of book summary didn't work out. 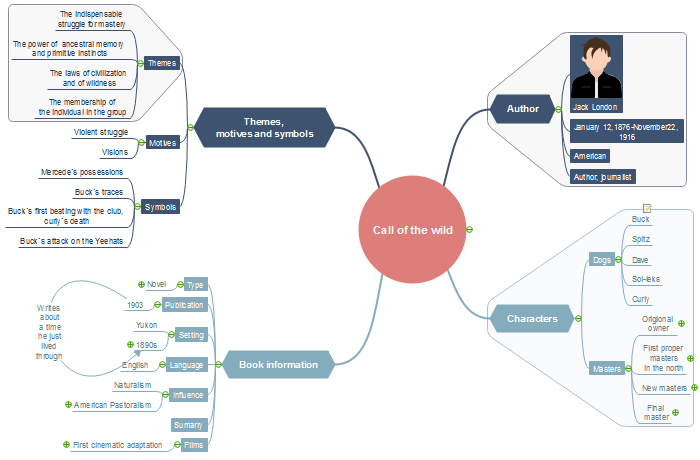 After I went to college, my teacher was annoyed at my "excerpts" book summary and he taught me to make a book summary of Call of the Wild with a mind map. As is mentioned above, a mind map forces students to extract key information from lengthy book texts with key words and short phrases. This process makes students focus more on thinking rather than copy-pasting, thus understanding the book better. 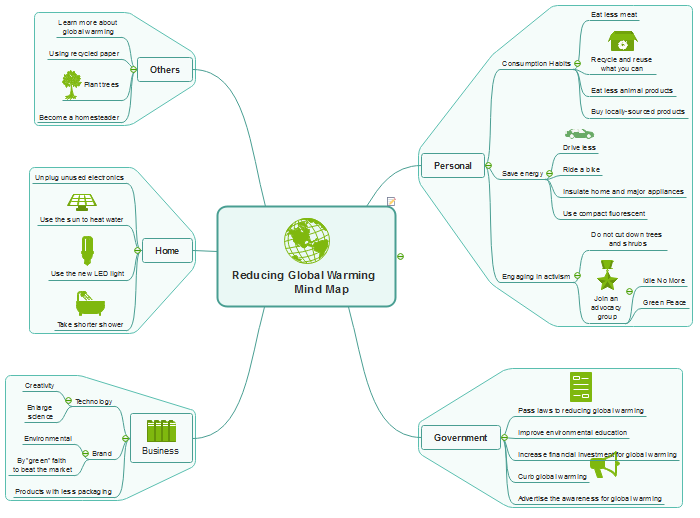 The following are built-in mind map examples designed on a vector basis from Edraw mind map software. This software also covers mind map examples in other fileds such as business and daily life.